Well we have another challenge starting at Eclectic Ellapu and the Pink challenge this month is Midsummer! 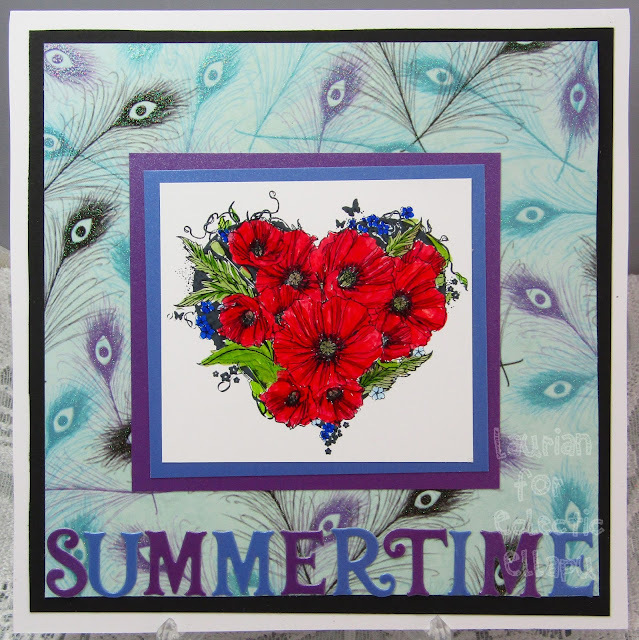 So we would like to see all those lovely summer projects that make you feel like its midsummer and it will be very soon! I used some beautiful paper from the Kimono Collection by Crafters Companion and I layered up the image onto some matching adorable scorable card from Hunkydory, the letters have been die cut using the same colours. This is just lovely, your image is just jumping off the card, even in the little photo on the blog. I'm sorry I can't read what you have written as its not showing up just blackness.